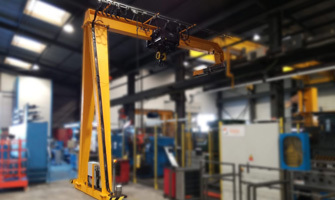 Design, supply and installation of a VINCA monorail 10,000 kg semi-gantry crane. capacity, equipped with BLACKLINE cable hoist from SWF Krantechnik. 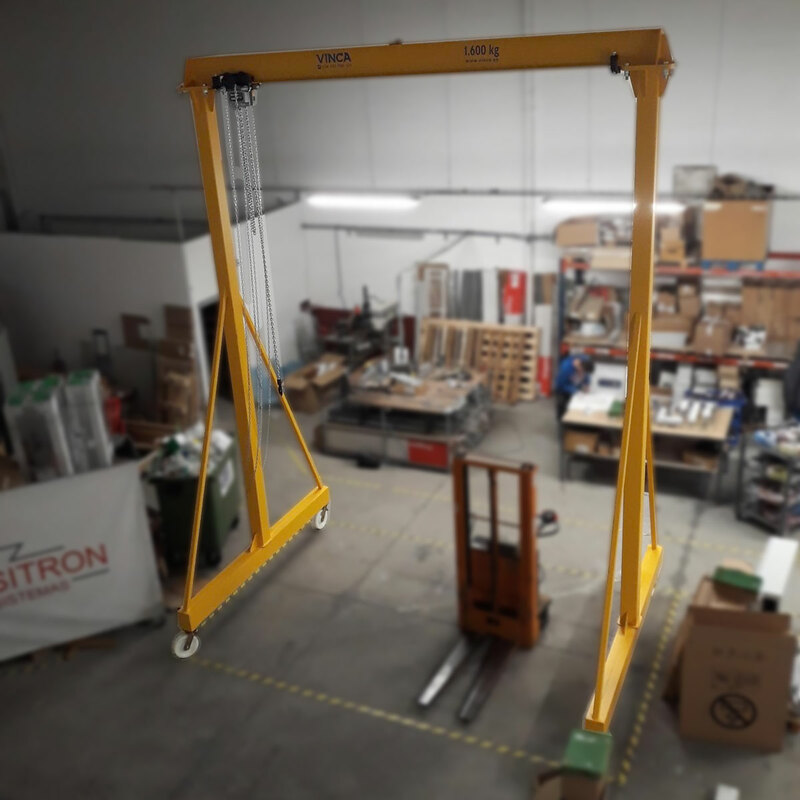 Installation of a lightweight steel gantry crane with a load capacity of 1600 kg, with a low beam height of 5.5 m and a light of 4 m, to be used for the manufacture and / or discharge of electrical panels and lighting equipment . 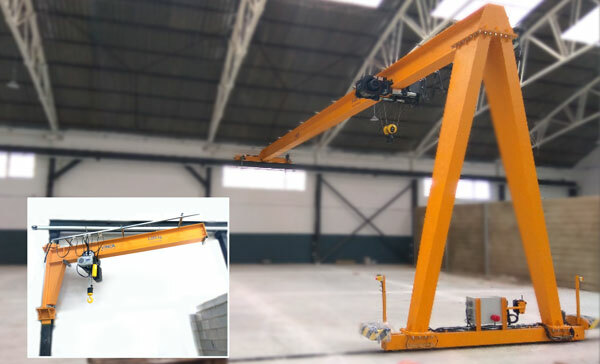 The client uses the semi-portable crane and jib for manipulation of parts during the repair of trucks and machinery of his property. 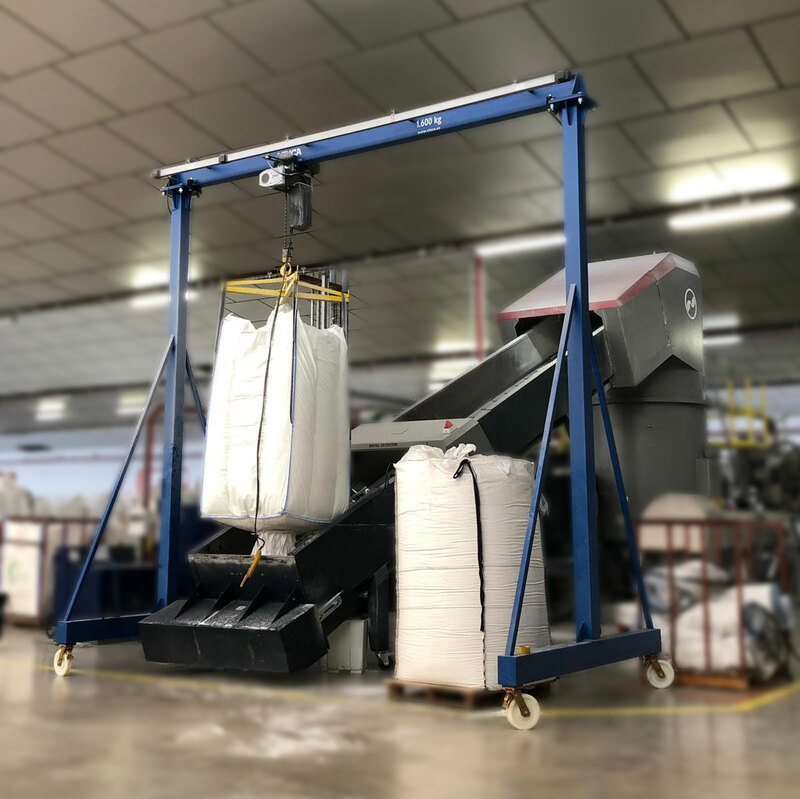 Set of 12 implements for big-bags of 2,000 kg., Prepared to be installed in Klöckner Pentaplast at its plant in Sant Feliu de Buixalleu (Girona). 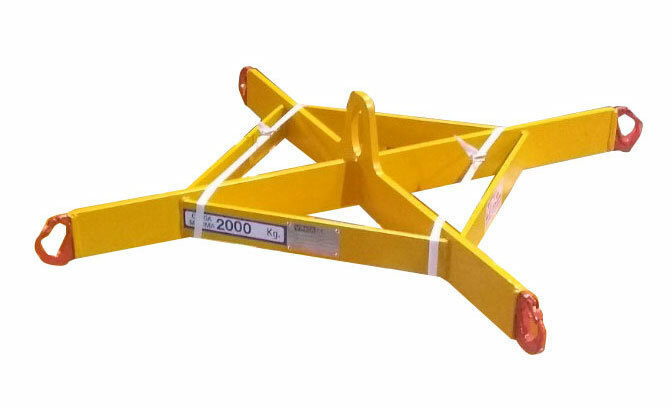 These attachments will be installed under the hooks of 12 CHAINster chain hoists of 2,000 kg., SWF.